It’s officially Holiday Season. Time to focus on family, friends, giving of yourself, and creating memories. 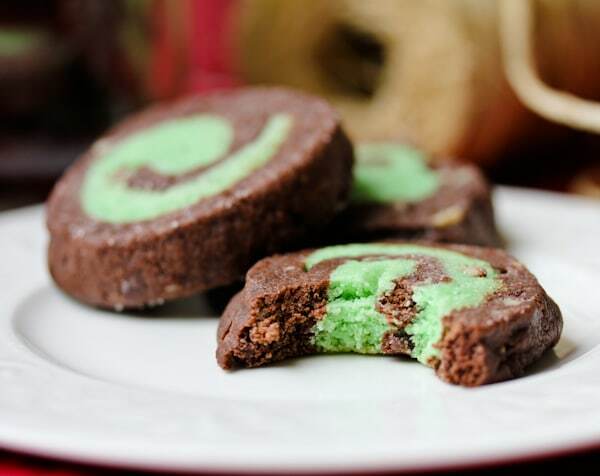 Andes Creme de Menthe Chocolate Mint Cookies make an irresistible edible gift that no one will want to return. We all have different traditions and ideas of what makes this season special. Some prepare a ceremonial meal each Christmas Eve. Others have a candle light walk through the neighborhood. Some trudge through the snow each year to cut a fresh tree, others hide an Elf on the Shelf. Some leave their shoes out to be blessed on December 6th, others make potato latkes and brisket. I love hearing what different families do around the holidays. To start off the holiday season we always visit the National Gingerbread Competition held each year at the Grove Park Inn here in Asheville. The artistry and intricate details of the elaborate creations are a sight to behold. Competitors start working on their entries months in advance. We hang advent calendars and fill them with tiny trinkets that make the kids pop out of bed each morning faster than a jackrabbit. We make cookies…Not just a few cookies, but dozens and dozens of cookies to share with friends and neighbors. Our few days of outlandish cookie production allows us to offer a delicious token to our loved ones, to let them know just how much they mean to us. This is a tradition I remember vividly as a child, and I hope my children will treasure “making cookies with mommy” with as much tenderness as I do. We hide a glass pickle ornament on our Christmas tree each year. On Christmas Eve, we all open a pair of new jammies. We come down stairs dressed in our snuggle-y attire and sit down to read the Christmas story. Then we let the kids hunt for the hidden pickle on the tree. Being green, it’s hard to find. The person who finds the pickle gets to open a bonus gift that night, a game that we will all sit down and play together before bed. To make cookie baking day(s) extra special, we always make a few favorites from previous years, then create a few new varieties to test on our friends. As I’ve recently discovered Andes Mint Chips, Chocolate Mint Cookies were high priority. I love the old tradition of handing our friends a tin loaded with treats of various colors, shapes, and flavors. 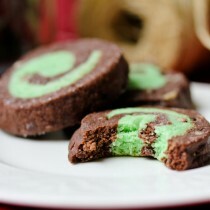 The Chocolate Mint Cookies offer serious visual appeal, as well as addictive mint chips. Using an electric mixer, cream the butter and sugar together until light and fluffy–3-5 minutes. Add the egg and vanilla and mix well. Sift 2 cups of flour, baking powder and salt together, slowly add to the butter mixture until well combined. Divide the dough into thirds, leaving 1/3 in the mixing bowl. Add the mint extract, 1 drop of green food coloring and 2-3 Tb. of extra flour to the dough and mix well. Form the green dough into a flat rectangle and wrap well. Place in the fridge. Place the remaining 2/3 dough back in the mixing bowl. Add the cocoa powder and mix until well combined; stir in the mint chips. Wrap the dough and refrigerate both doughs for at least an hour. On a floured piece of wax paper, roll the chocolate dough into a 14 X 5 inch rectangle, about an 1/8 inch thick. 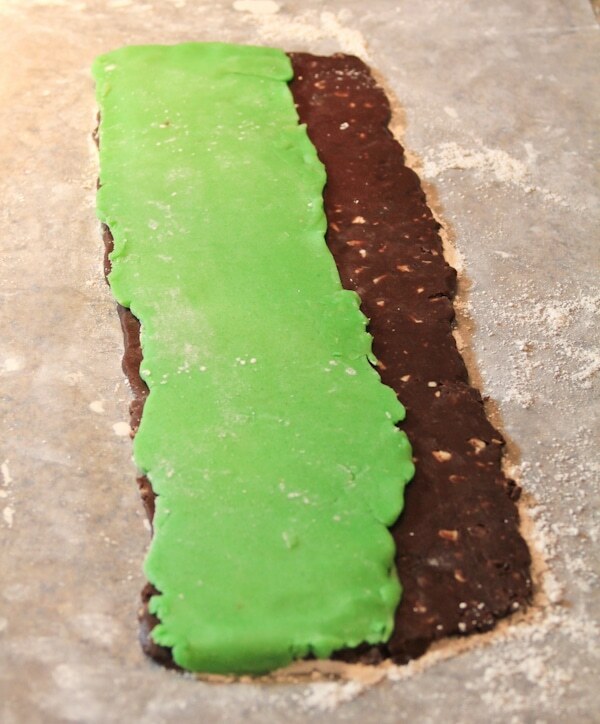 On another piece of wax paper, roll the green dough into a 14 X 4 inch rectangle and place over the top of the chocolate dough leaving a 1 inch border on one side. Carefully roll the dough toward the end with the chocolate border. 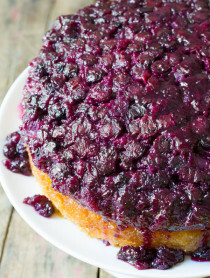 You may want to cut the dough in half to make this easier. Once rolled press the roll down on the end to seal. Pinch any cracks together. Wrap the log(s) in the wax paper and place back in the fridge for at least 30 minutes. Preheat the oven t0 375 degrees F and line cookie sheets with parchment paper. Unwrap the dough log and slice into 1/3 inch pieces. Spread 2 inches apart on the baking sheets and bake for approximately 10 minutes. Cool for 5 minutes on the sheets before transferring. These are insane! Love these, and need to make them soon! like you on Facebook as Well. So pretty! I too love choco-mint anything, but do not include it in my Christmas cookie gifts. I found that the oh-so-fragrant mint flavored every other kind of cookie in my gift boxes. Horrors! I love your traditions, they sound very similar to ours. Simple but memorable. Chocolate and mint is one of my favorite combinations this time of year – your cookies look perfect! I focus on the traditions to make Christmas easier. Music, food and family :) (rather than the gifts). I have been hearing a lot about the elf on the shelf lately. I may get one for the kids. This is a great cookie recipe. 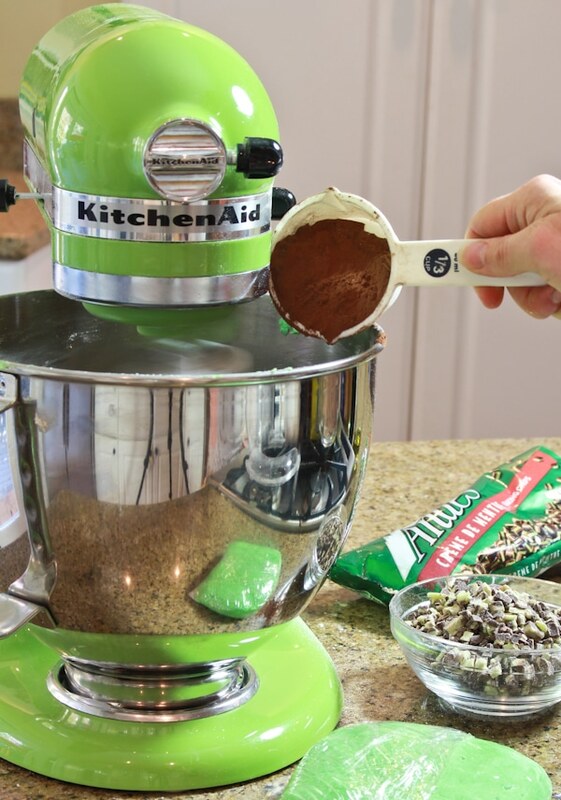 love these cookies and your green mixer, cool!! These remind me of the creme de menthe brownies my mom used to make. They look absolutely wonderful! I baked and baked all weekend and wish i could do more – somehow baking during the holidays is just so much more fun. Since i am Swedish i celebreat Christmas the Swedish way, advent candles just a small thing and making glögg with the smell of that just bring the whole house into the spirit! 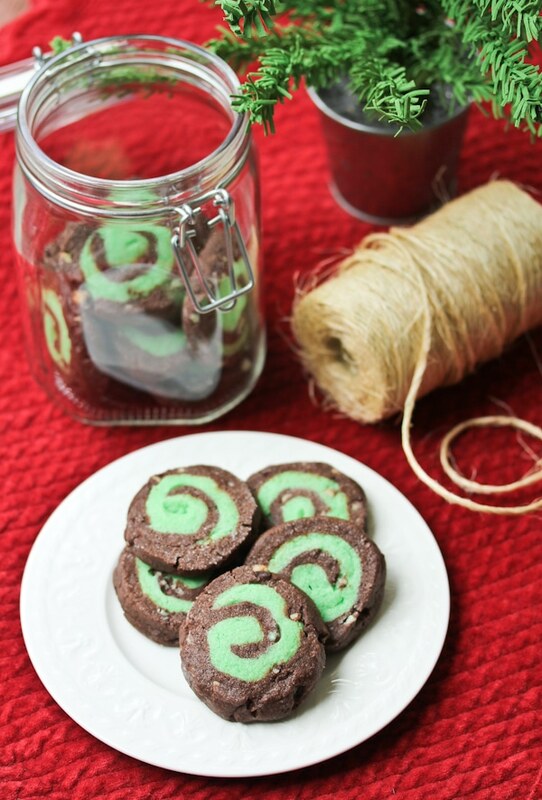 Love the swirl on these scrumptious cookies! Junior & I love making latkes, of different kinds every year, that’s our fav holiday thing to do! LIKED P&G on Facebook. (Also P&G Beauty)!! This is a silly tradition, but every year we have a different “holiday” hat and make everyone put it on and take a picture of each person wearing it. It is funny to see the hat make its way around and the pictures are hilarious. One year the hat consisted of deer antlers and another year it was an inflatable tree hat! Ah, favorite holiday tradition. Many. Our Polish Christmas dinner with all of us making pierogies from scratch. These cookies look so incredibly fabulous. 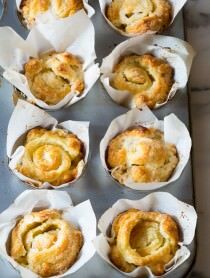 These look delicious Perfect for xmas morning! Smile. These look too cute! I love to make handmade ornaments each year. Thank you for making me smile (and my stomach growl!) I hope you had a blessed Sunday and I wish you a warm and peaceful week. these look wonderful, I love chocolate and mint! I try to remember it’s never the gifts everyone remembers it’s the memories of spending time together! Love these cookies….. our family makes homemade raviolis every year, not just a few, we make over 1,500 and share them with EVERYONE! We also freeze a bunch and enjoy them all year long! Happy holidays to you! I liked ASP on facebook. I liked P&G Beauty on facebook. I liked P&G on facebook. My family’s holiday tradition is to gather in our living room and decorate our Christmas tree. We put Christmas music on, make hot chocolate, and bake holiday goodies to enjoy. As each person hangs an ornament, they share a reason they are blessed. Afterwards we all pile on the sofa and watch Christmas classics. even if you never gave anything away, Spicy, your site would still be well worth visiting…love this recipe! as for a holiday tradition, I will share one that a friend’s family has: Each year they pull mattresses around the Christmas tree on Christmas eve and the Mom, Dad and all their young’uns have a pajama party sleepover under the twinkling lights. One of my favorite holiday traditions is that I purchase pajamas for my family, usually matching. We open our new pajamas on Christmas Eve and wear them that night and the next morning when we open our gifts. My favorite holiday tradition would still be caroling. Liked A Spicy Perspective on Facebook. Liked P&G & P&G Beauty on Facebook. One of our family favorites is a treasure hunt; it started when we didn’t have a lot of funds for Christmas gifts. We sent the recipient on a hunt around the house, leaving cryptic clues on colored post-it notes, leading from one location to the next, and the last destination held the present. It never mattered what the present was, because all the fun was in the hunt! Lovely cookies! I keep the holidays simple by picking just a few activities that are important to my family – we don’t have to be everywhere and do everything before Christmas. After all, the 25th is the first of the 12 days of Christmas. I like ASP on fb! I love these cookies!! They look so fun and festive too! And my favorite tradition is making cookies with my momma! Like both P & G’s on Facebook. I always put the tree up the day after Thanksgiving. I love your green kitchen aid, I just have to say! These cookies look amazing! I think that food is one of the simple ways to make the holidays special! Love the mixer that matches your cookies. I also follow you by e-mail. I love Christmas. I follow you on Facebook and shared you as well. I love these cookies. Favorite Christmas traditions: making cookies, reading the Christmas Story from the Bible together as a family. Sharing love and joy. My family makes a polish Christmas cookie together every year, on the Sunday before. It’s been happening for generations. We always have a Christmas breakfast with as many family members as we can get together. I love those cookies..beautiful colour contrast. We do things I did as a kid with my family we do baking and make cookie tins to give away, I take kids to see The Nutcracker and go downtown on horse carriage ride. We listen to Christmas music I try to make as special as it was for me when I was a kid.. I want my kids to have great memories like I do. We have special picture books that we take out only at this time of year. Yummy cookies! I’m a Canuck so not entering the contest but just wanted to stop in and say how much I love these cookies. I love a chocolate mint cookie that is so time consuming to make; these have to be tried to lesson that half a day process…whoo hoo! Baking and decorating cookies as a family! keep the christmas traditions every year! Every year we buy each of our children a special ornament that reflects something they’re really into that year. Like this year my son got a mushroom ornament. That way when they get older and move out, they already have a bunch of special ornaments for their own first Christmas tree. I like to simmer a pot of water with orange peels and cinnamon, makes the house smell amazing! I make a pumpkin roll which is always a holiday hit. On Thanksgiving my entire family decorates my grandmothers house. We do the outside and the inside. Always fun. We eat way too much food. Baked ham with homemade horseradish, pierogi’s, baked corn, green bean casserole, rye bread, nut roll, pizzelles, and enough cookies for the whole neighborhood! One early tradition we have is watching “Christmas Vacation” on Thanksgiving evening after everyone has gone home and we can sit down to relax. We always got a new pair of Christmas pajamas for a gift on Christmas eve, then wore them that night. I like to make goodies for the neighbors and friends, so I guess that’s a tradition, right? I make Kahlua Chocolate Cakes for friends and neighbors and Christmas Eve is always my Cheesy Shrimp Potato Soup w/salad and baguette for dinner. 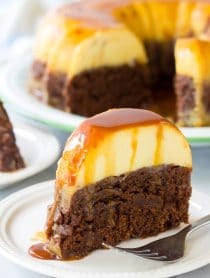 Dessert is usually Molten Chocolate Cakes. One or Christmas traditions is the whole family gets together I mean aunts,uncles,couisons,brothers in-laws and we have a feast then we have music and just visit and find out how everyone is doing and what happened during the year. Then the host gets a gift that everyone has made. My mom host till she does not want to or can’t. I bake cookies to take and it is the first thing everyone ask did you bring cookies. Yes. Oh wow, those cookies look delicious! My husband loves the Creme De Menthe cookies I make every year but I think I may change things up this year and make these instead! I like P&G on FB. Decorating Christmas sugar cookies is a great way to make the holidays special. One of our Christmas traditions is going to the tree farm the weekend after Thanksgiving to pick out the perfect tree. Then we bring it home, set it up and decorate the house house while listening to Christmas music. At the beginning of December, I either make or bake some kind of gift for each of our neighbors and friends. Then we pick a night, all pile into the car and drive around delivering them. It’s always a memorable night. I think that one of my favorite holiday traditions is having French Toast for breakfast on Christmas or around there. Every year my mom, sister and I get together and spend the day baking cookies, bars, fudge, kringla and more to take to our co-workers and neighbors. Although the work might not be simple it is joyful! I give goodies to different departments at work that help make our jobs run smoothly…i.e. security guards, maintenance, etc. We purchase our tree then have our 10 grandchildren over to decorate the tree. Afterb web have hot chocolate and cookies while sitting by the fireplace. Those cookies look yummy. I love baking and sharing for the holidays – it’s my way of showing how much I care. I shared this giveaway on twitter. https://twitter.com/#!/grobiemum/status/142698871661936641 and on facebook. I like ASP on facebook. I liked Proctor & Gamble and P & G Beauty on facebook. I follow you on facebook (Rust hawk). I follow P&G on facebook (Rust Hawk). We make cookies together (and date nut loaf). I, too, hang a Christmas pickle ornament on our tree for someone to find. A tradition we love doing is watch A Child’s Christmas in Wales. We never tire of doing this. We also will have plum pudding at Nana and Papa’s house–an English tradition. We bake Christmas cookies and cakes. We decorate the tree together on Dad’s birthday….December 17th…while feasting on fireplace popped corn and homemade fudge. Think this year I’ll be trying your peppermint fudge. It looks wonderful. You have a mixer that matches your cookies. How festive! :) These look delish. I love Andes mints. The holidays are my favorite time of year. Since I purchased my first home, my favorite thing to do is decorate the fireplace and the Christmas tree. It’s something I’m really looking forward to doing next weekend. I like to make the holiday special with homemade Christmas cards. I like to deck out the house and bake, bake, bake. Perfect cookies for the holidays! I help fill the belly’s of my family with lots of goodies! :) Thanks for the giveaway! I make the holidays special by making cookies for everyone! Those cookies would be the absolute death of me. But I’m not opposed to making them (and of course trying a few to make sure they turn out ok) if I had someone to give them to! I like ASP on Facebook too. I also like P&G on Facebook. What lovely traditions, I especially like the new pj’s on Christmas eve! Have to be decorating the tree! Love that time. We’re starting new Hanukkah traditions this year with our new son–different types of latkes (carrot & zucchini anyone? ), taking turns lighting the menorah, and telling the Hanukkah story each night to start. Every year I make apple butter for my friends and family. Wow, marvellous weblog layout! but extended have you ever been blogging for You created blogging look easy. The design of your information science system is great, but as results of the content! Gorgeous cookies and a great giveaway! Something very important to me around the holidays is to really put some effort into thoughtful gifts, and try my best NOT to resort to gift cards. putting up the christmas tree. We all do it together every year just likemy family did when I was youger. To be honest, we never had a holiday tradition, but I’ve sort of created one myself, with serving a great family dinner and dessert…if you’d call that a tradition? I already like ASP on Facebook. Our favorite holiday tradition is decorating sugar cookies together. It wouldn’t be Christmas without it!